Taking time to thoughtfully plan meals is an supportive way to eat healthier anytime. This is even more true during the holidays. 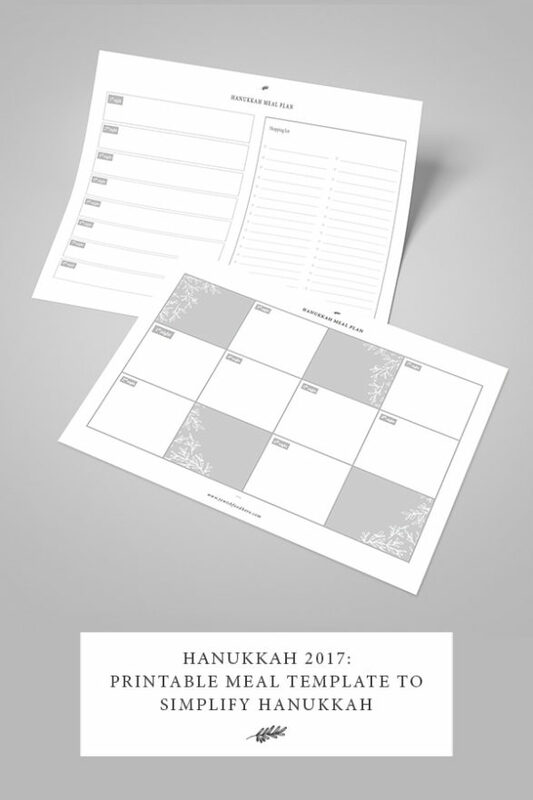 Meal planning templates will also help you feel more organized and calm before and during Hanukkah. This printable Hanukkah meal planning template is simple to use. Your turn: Tell us what you think of these Hanukkah meal planning templates! Feedback welcome.